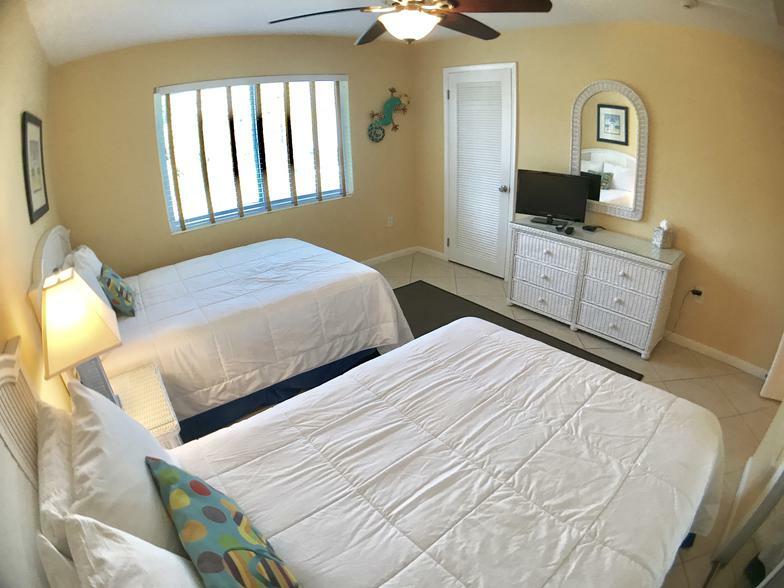 I did a total renovation using a local interior decorator to incorporate tropical colors and furniture so my guests can have the full Tropical Keys feel. 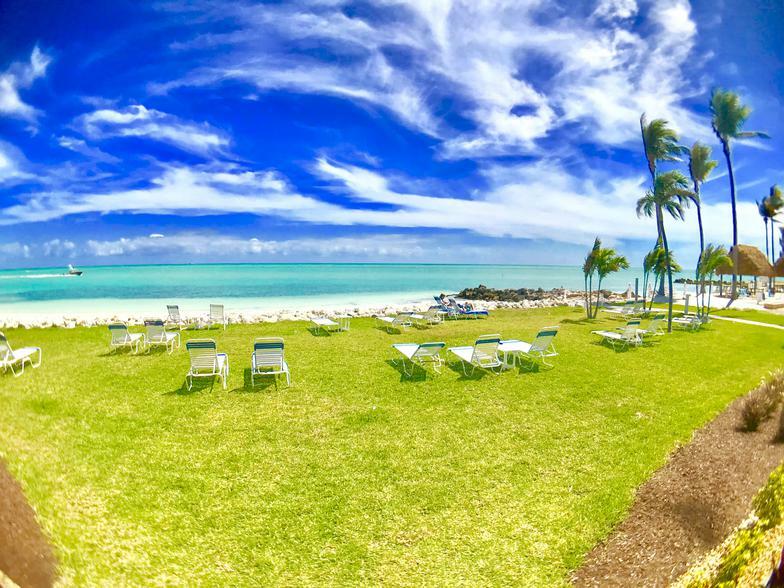 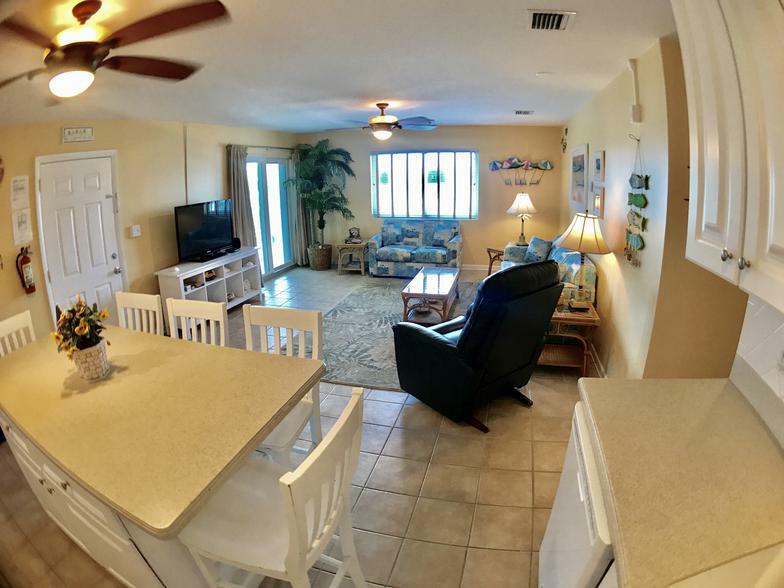 Some of the condos we offer..
We have one of the best beaches in the United States. 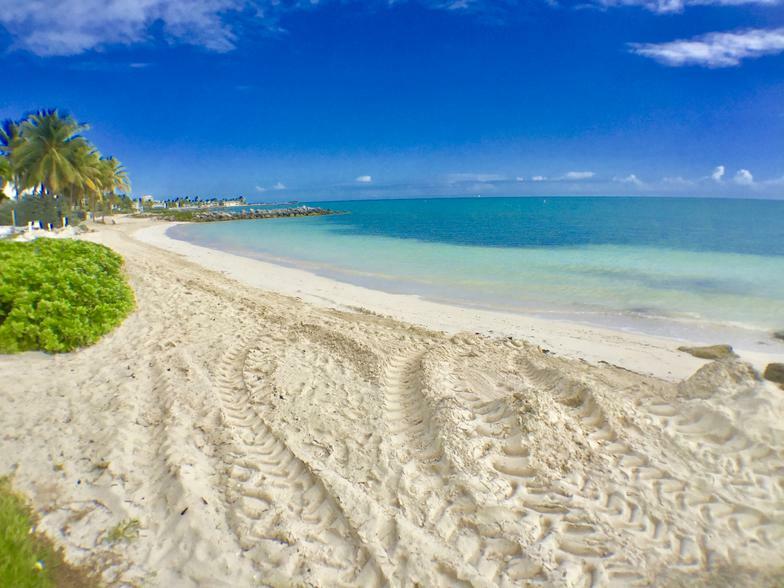 Our beach and all adjacent beaches are private...no public access. 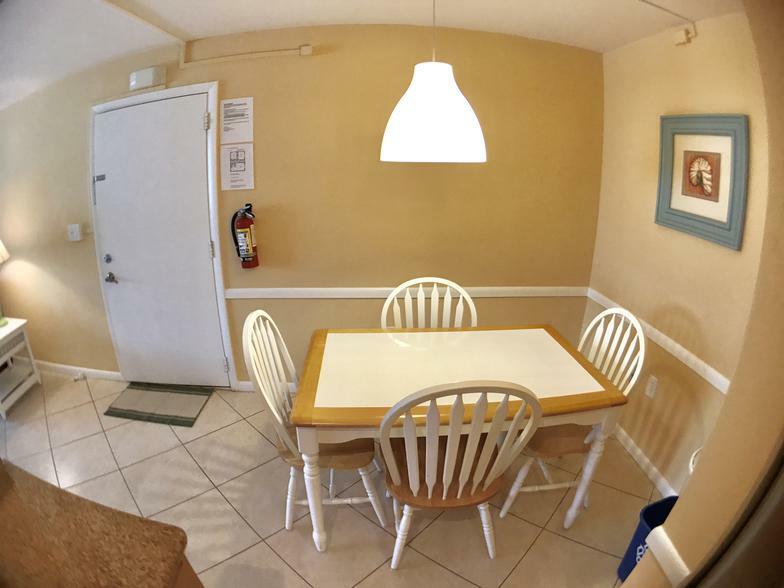 It's safe, quiet and a great place to bring for your family or significant other. 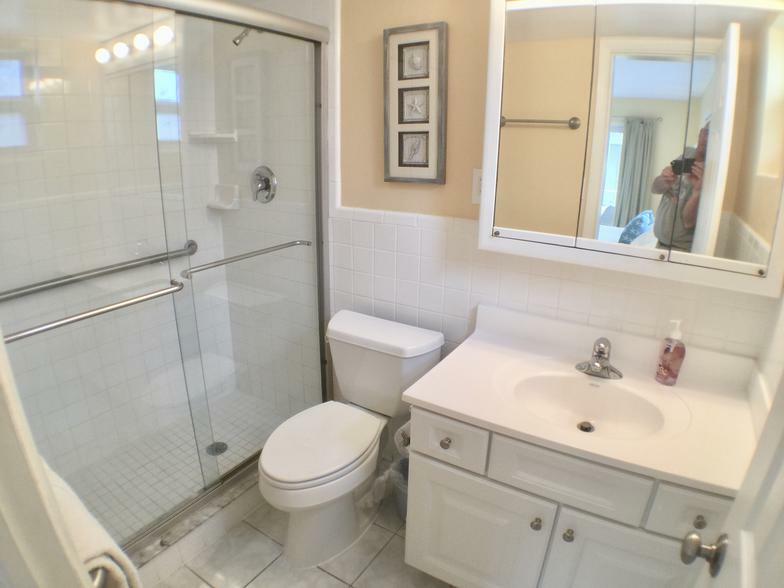 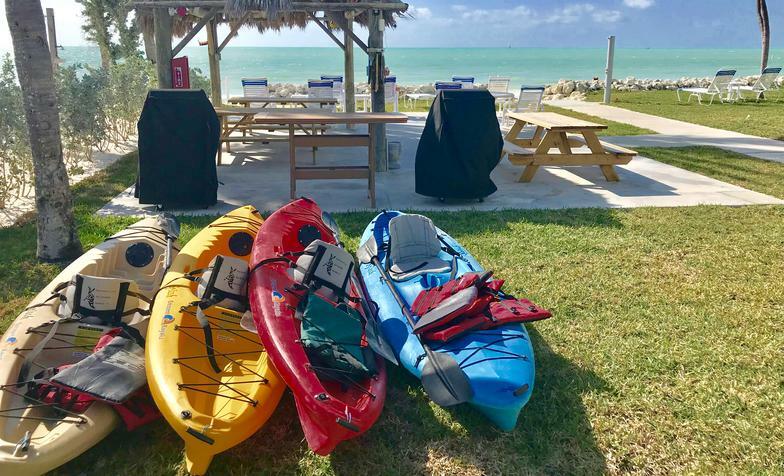 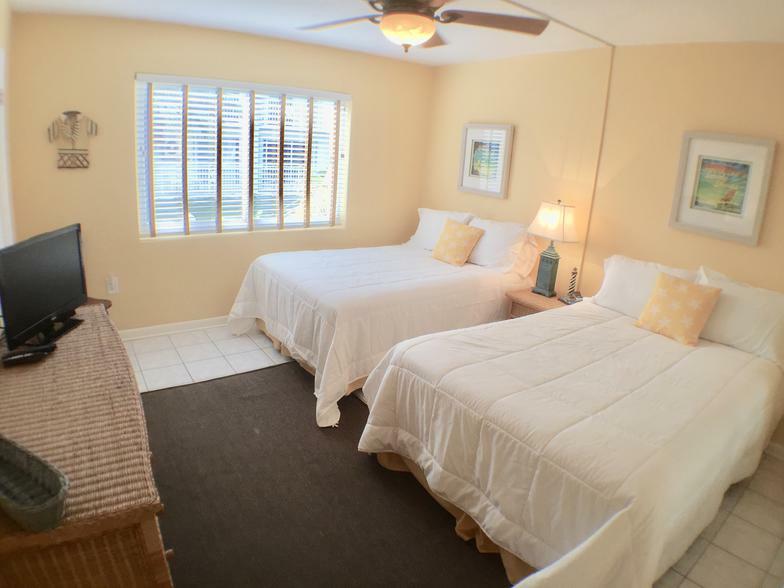 The condo will have ironing board, all fresh linens, towels and even beach towels. 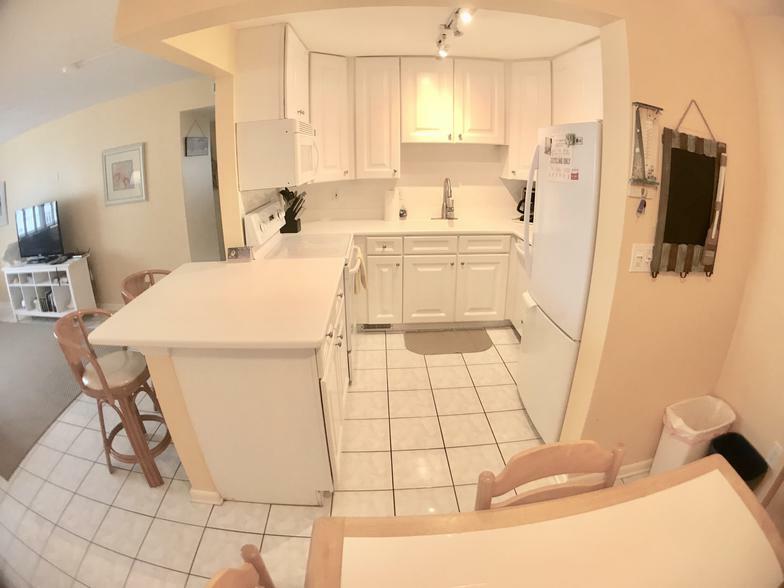 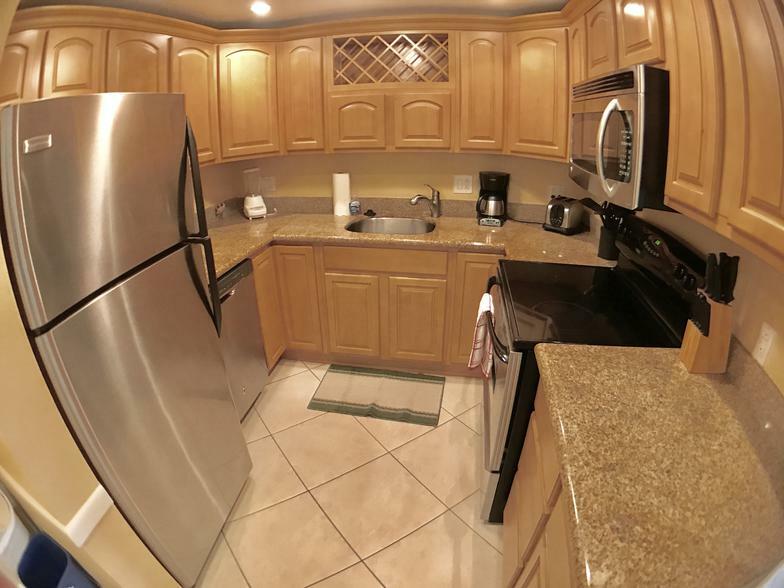 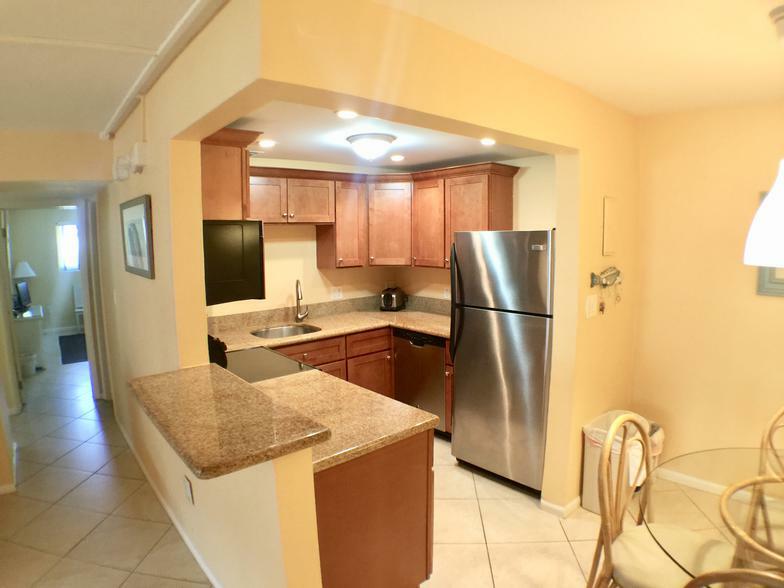 The kitchen is fully-equipped with including pots, pans, utensils…etc. 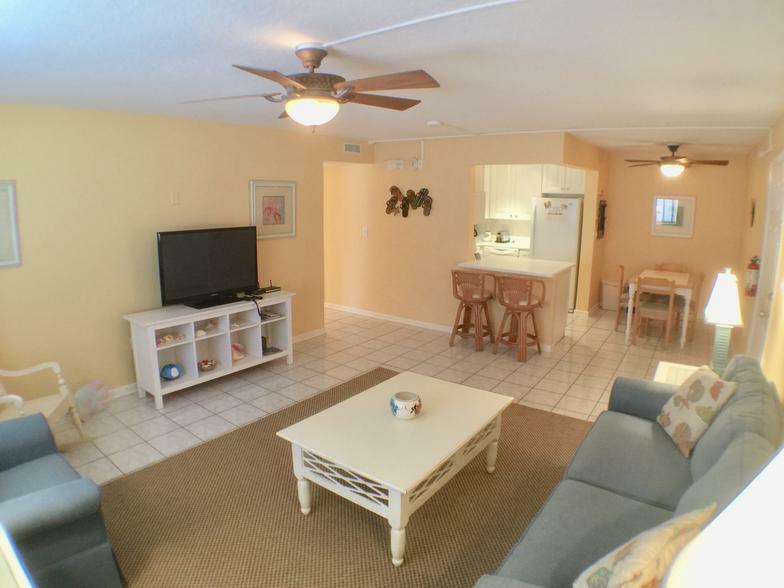 This is a first floor condo 12 yards from our private beach. 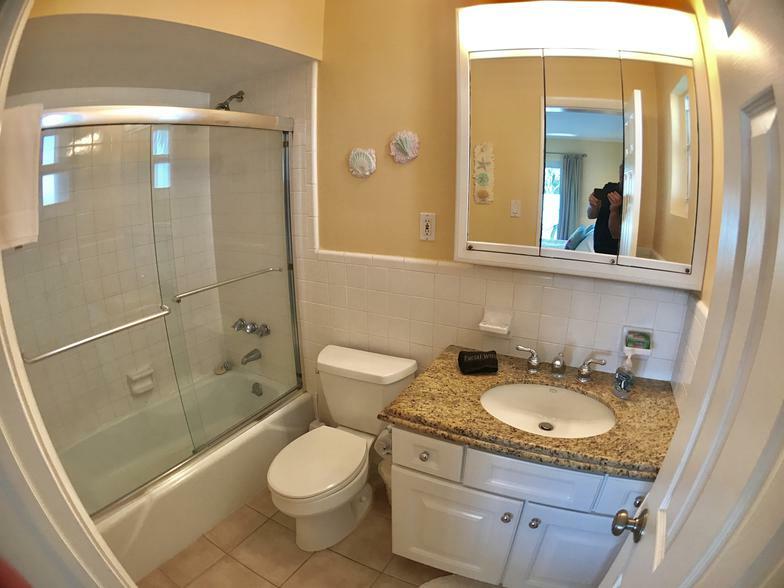 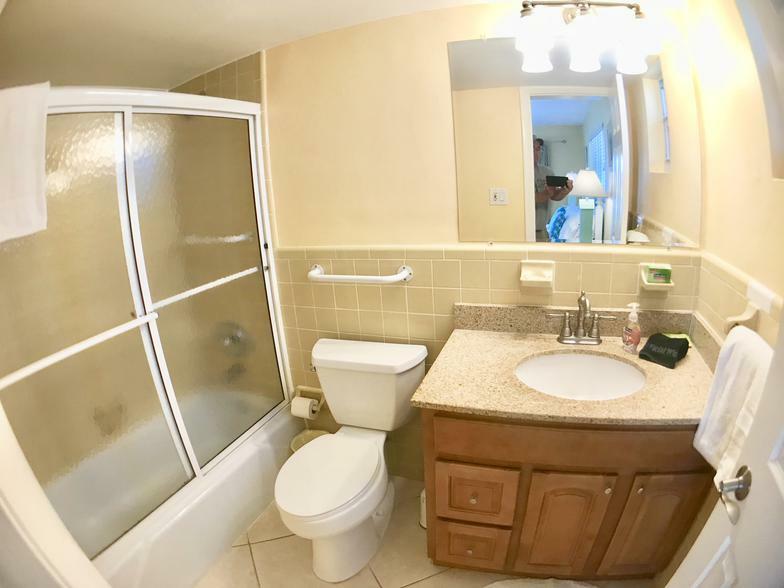 It's a 2 bedroom 2 bathroom unit. 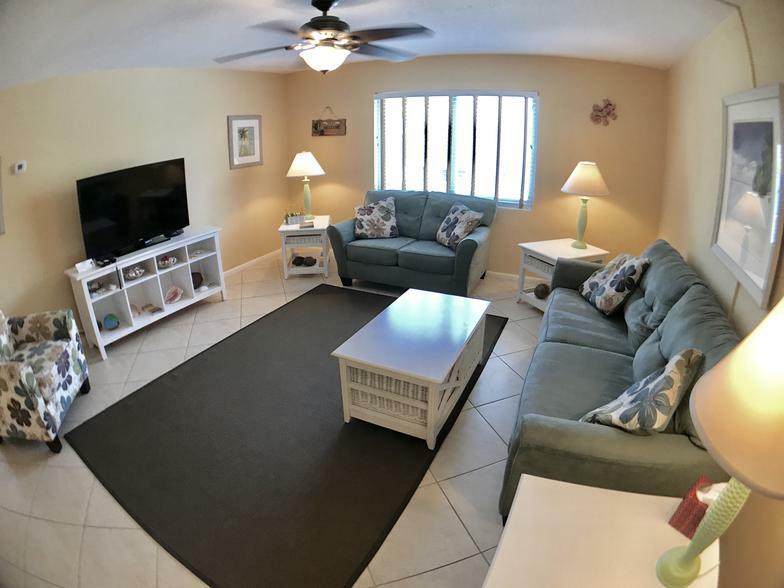 50 inch flatscreen with cable and Netflix. 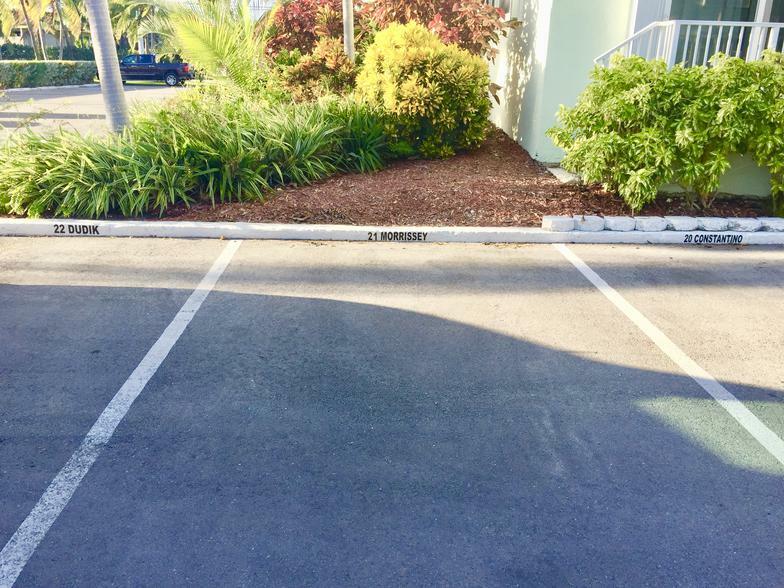 This photo was taken 7 steps from my condo door. 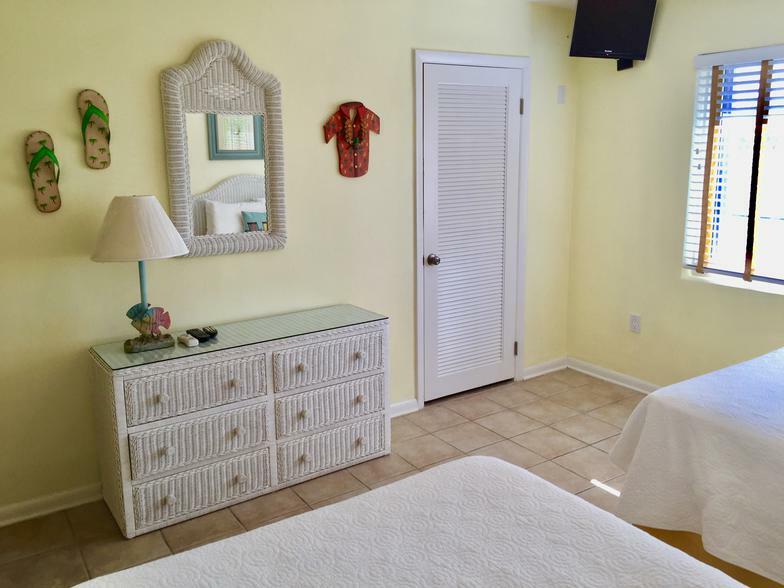 Wifi password protected not shared with other units. 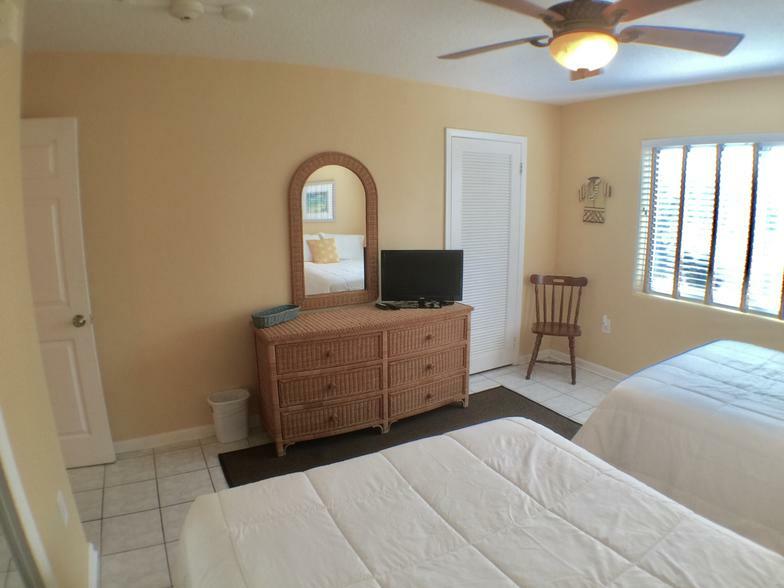 50 inch flat screen TV with cable and Netflix. 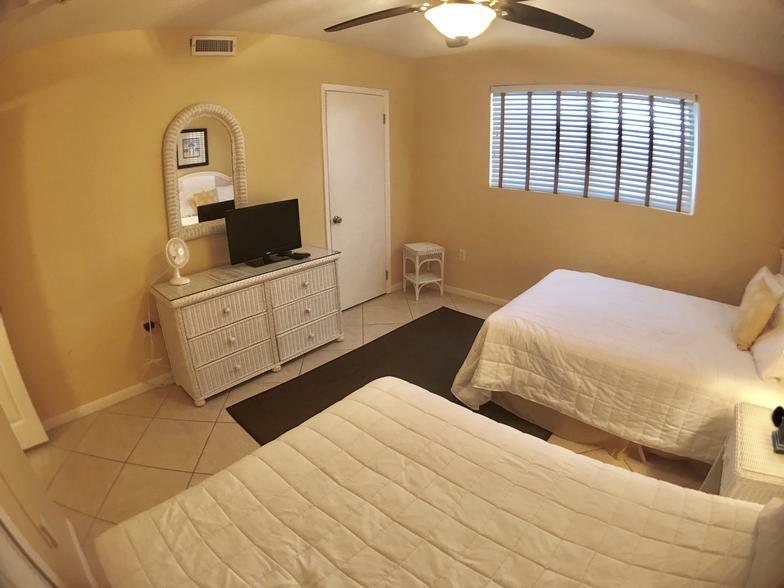 King size Sealy Posturepedic mattress. 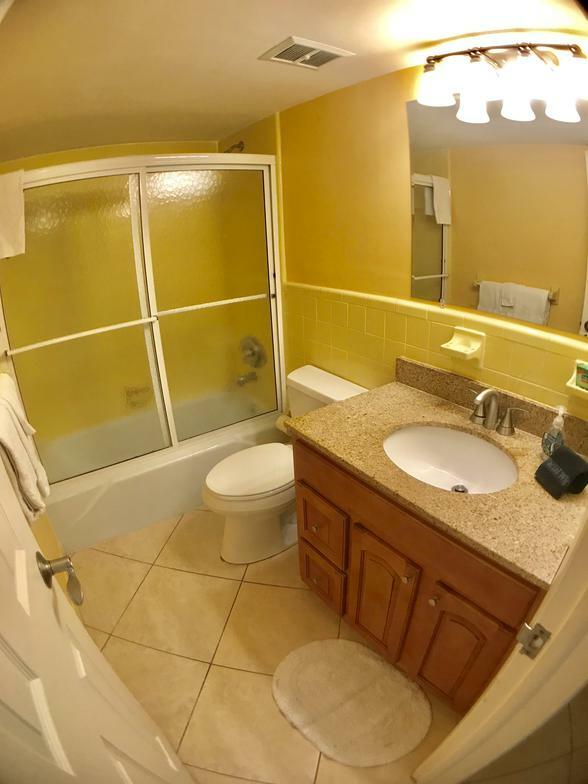 The photo above and below were taken from the balcony. 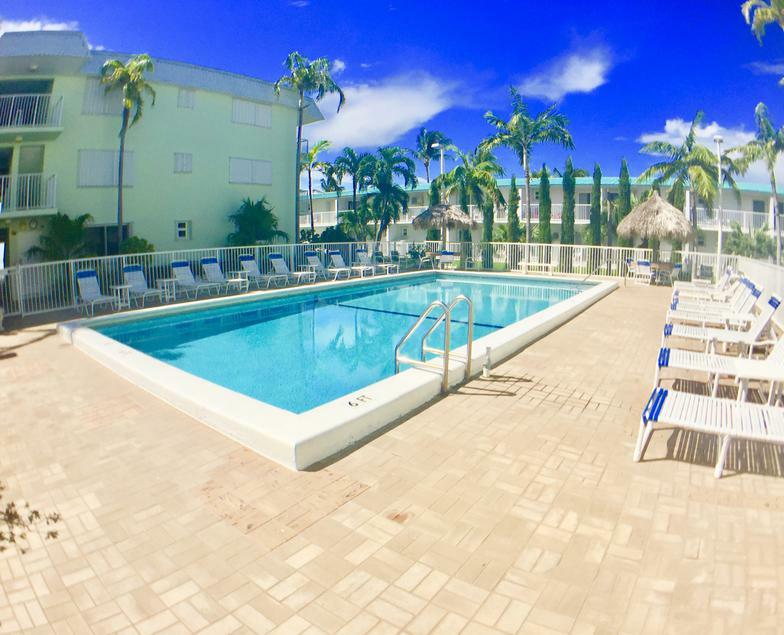 Please see below for a quick look at all four condos! 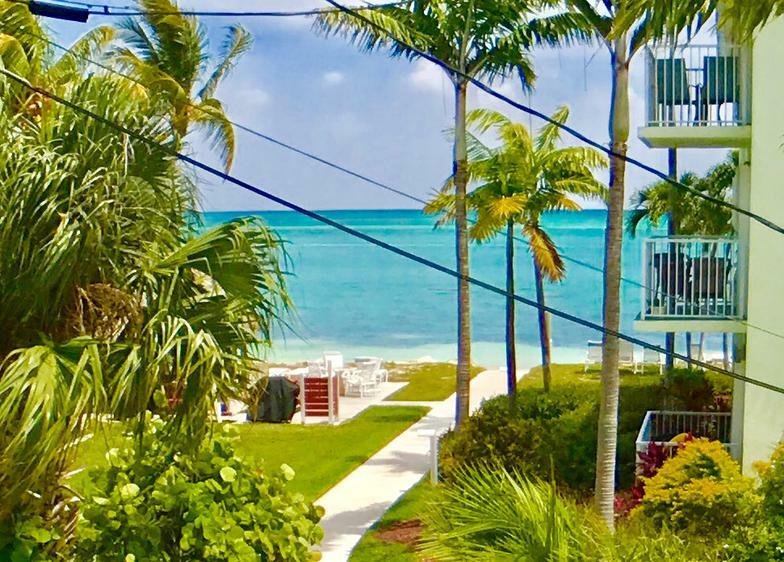 ~Password protected Wi-Fi is not shared with other condos. 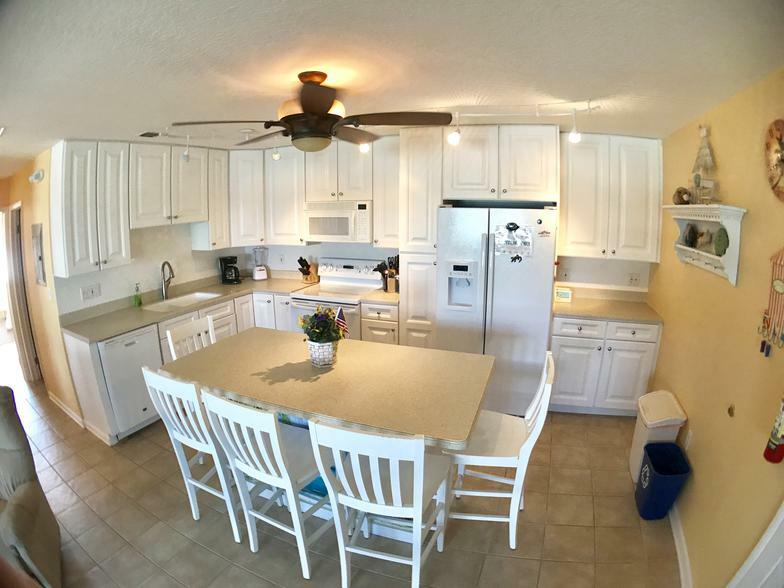 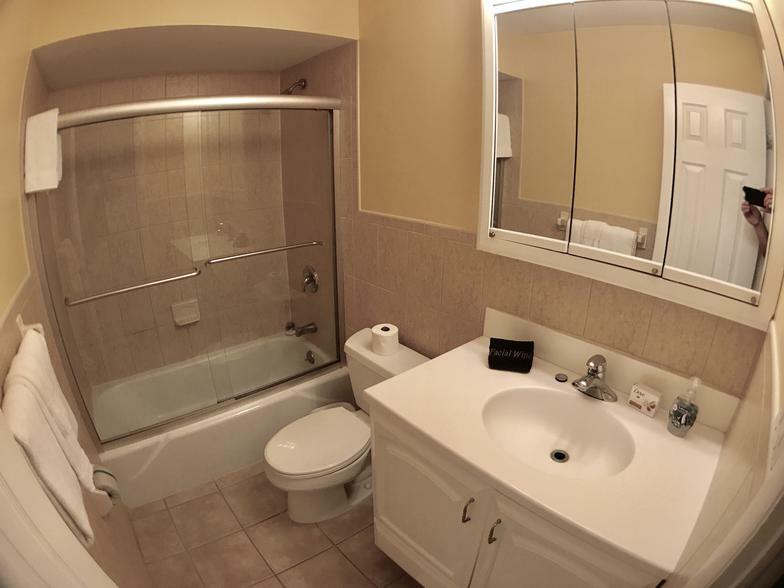 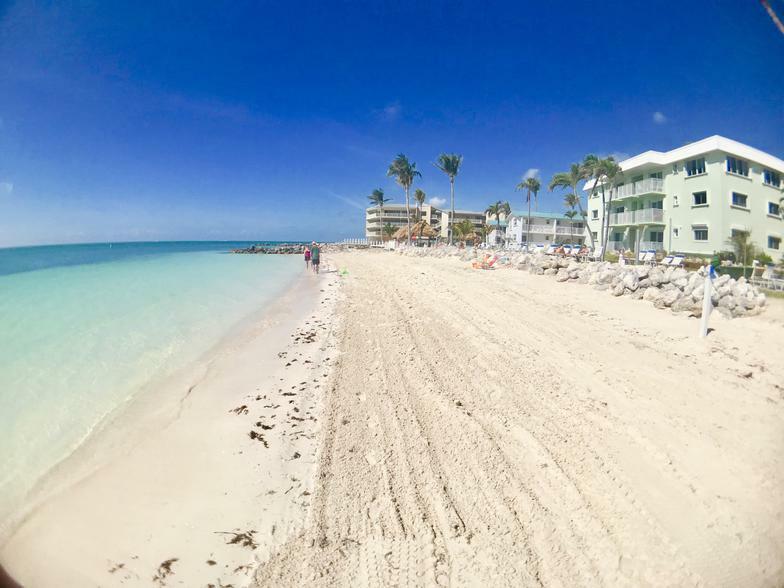 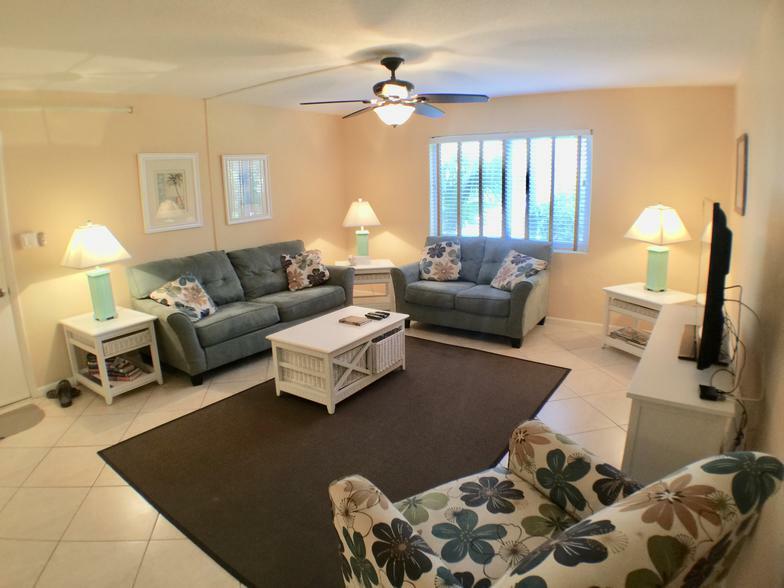 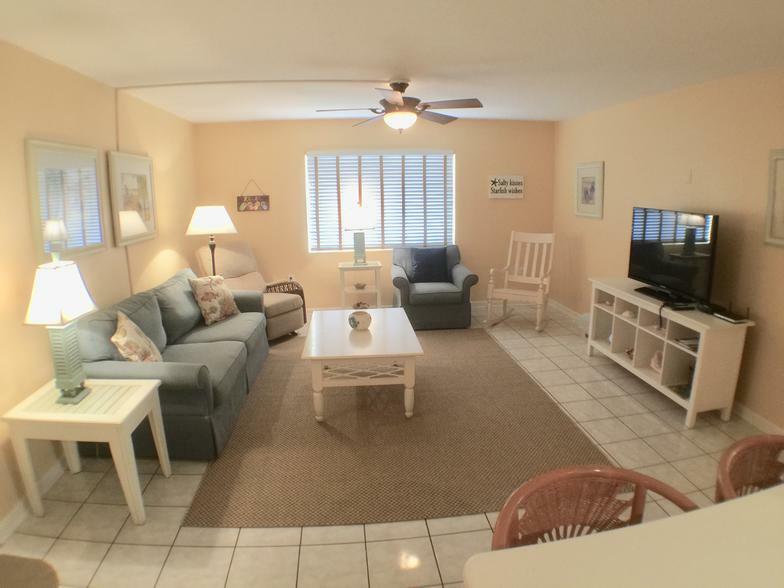 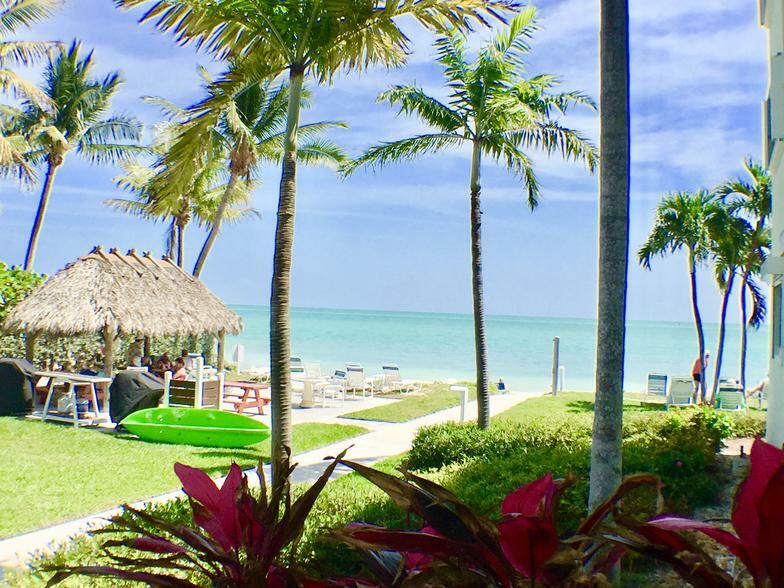 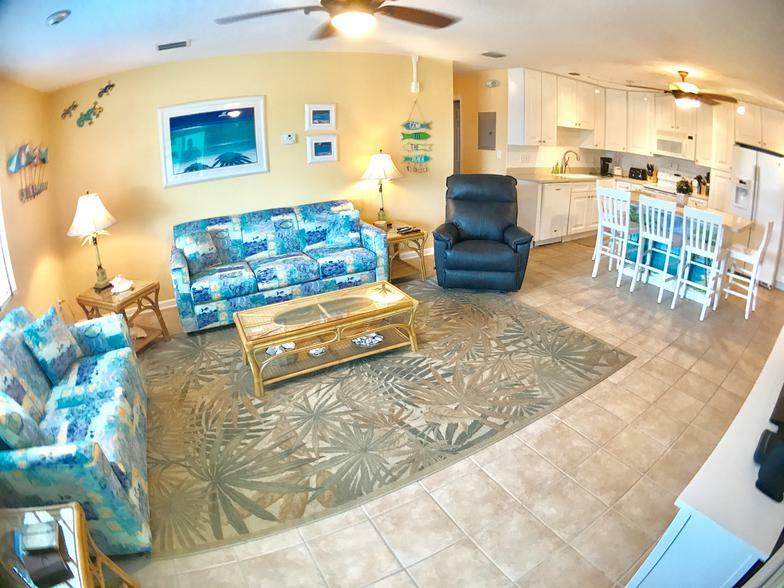 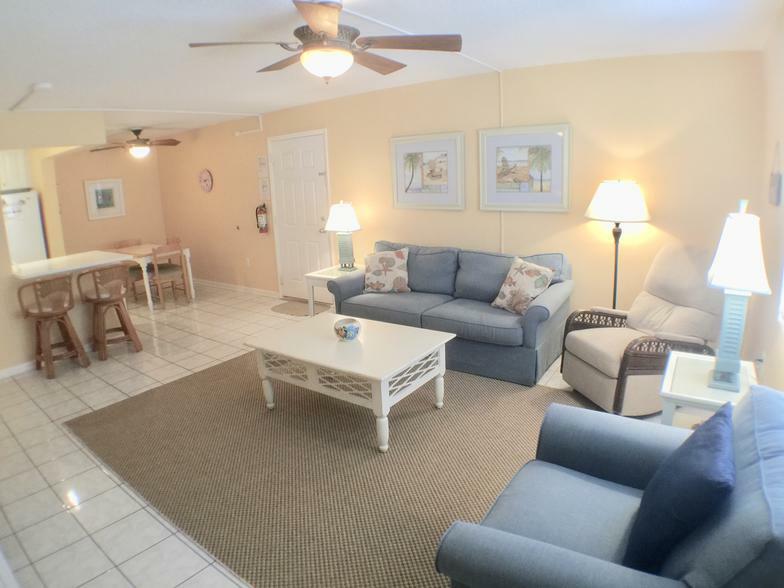 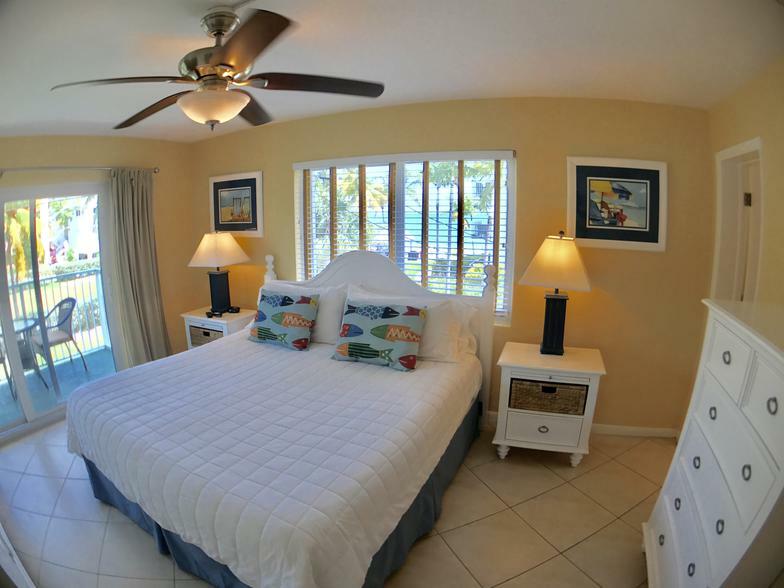 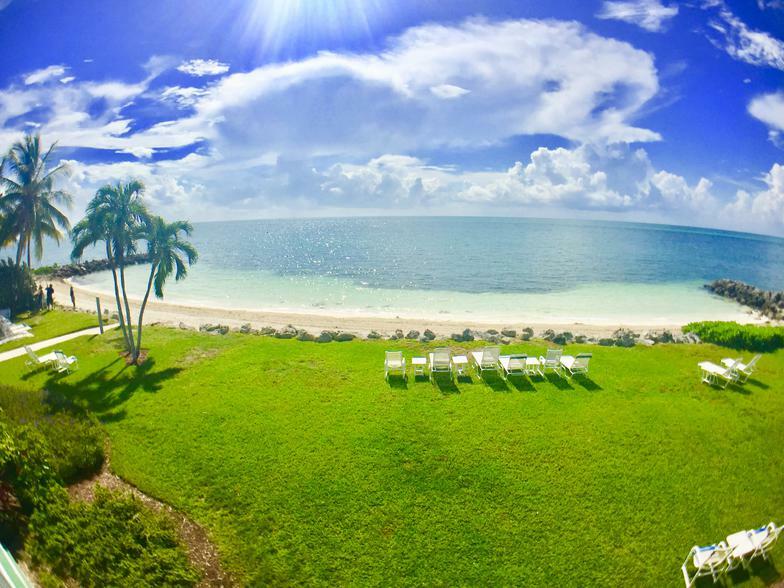 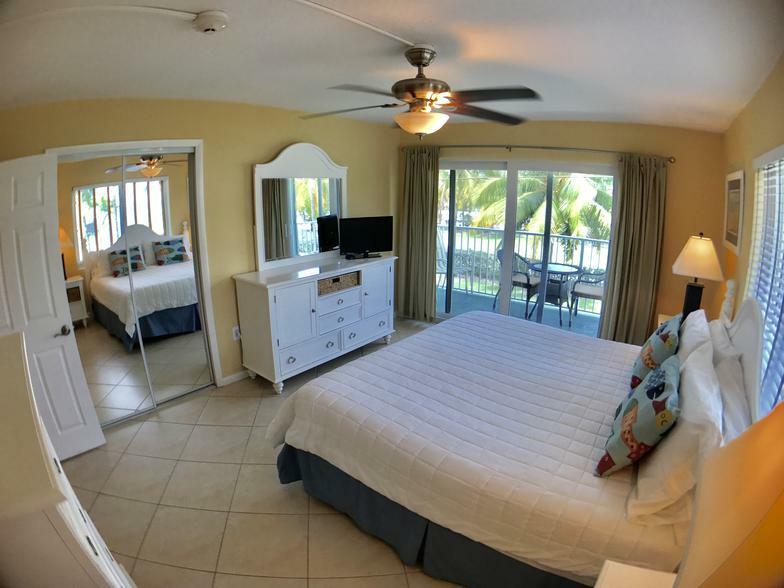 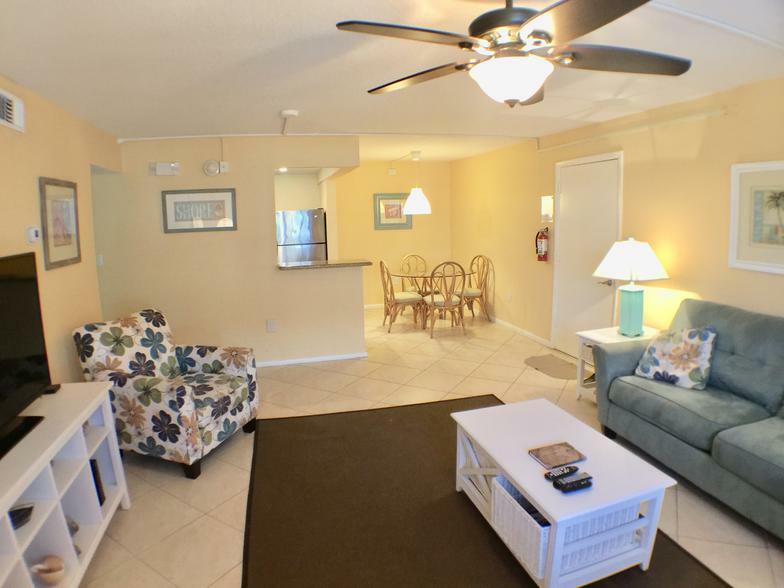 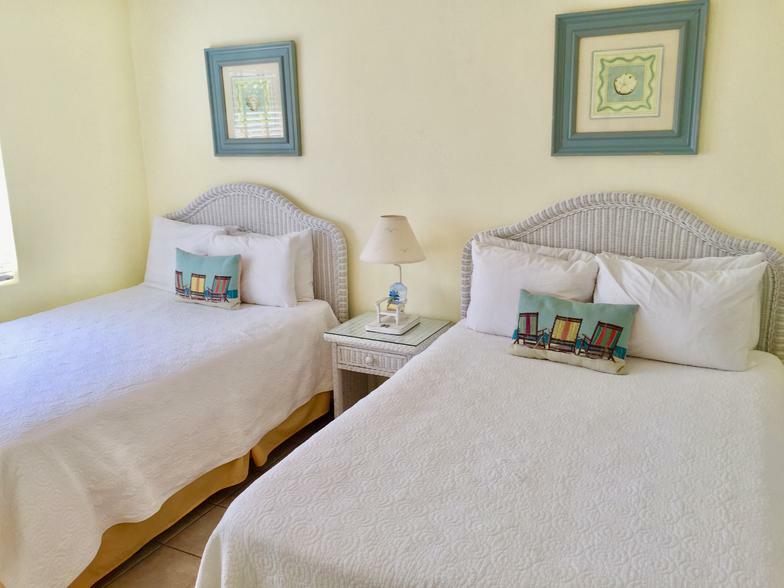 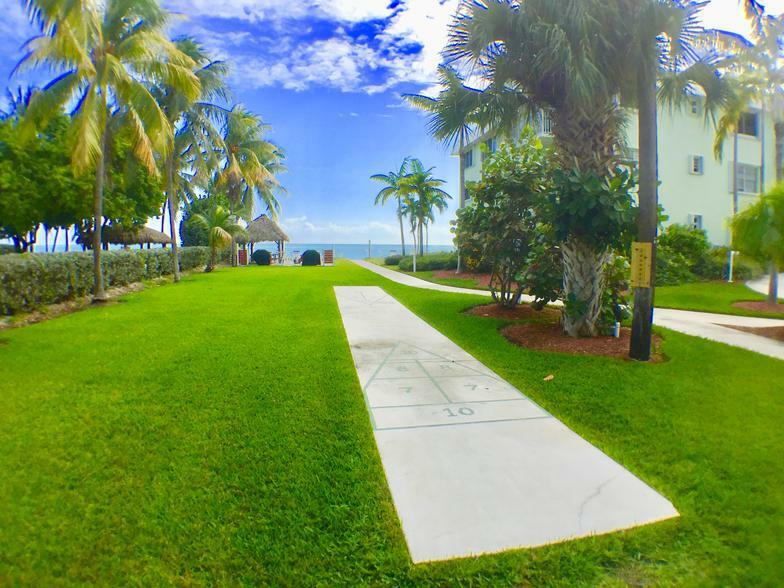 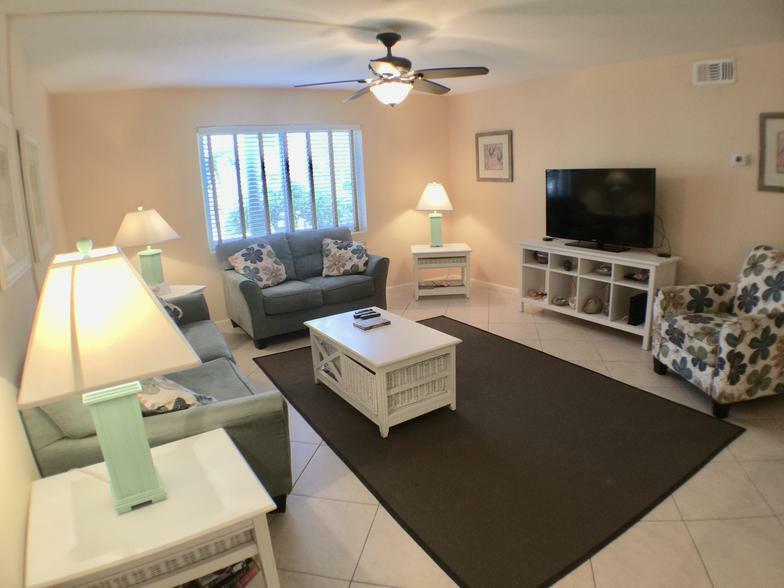 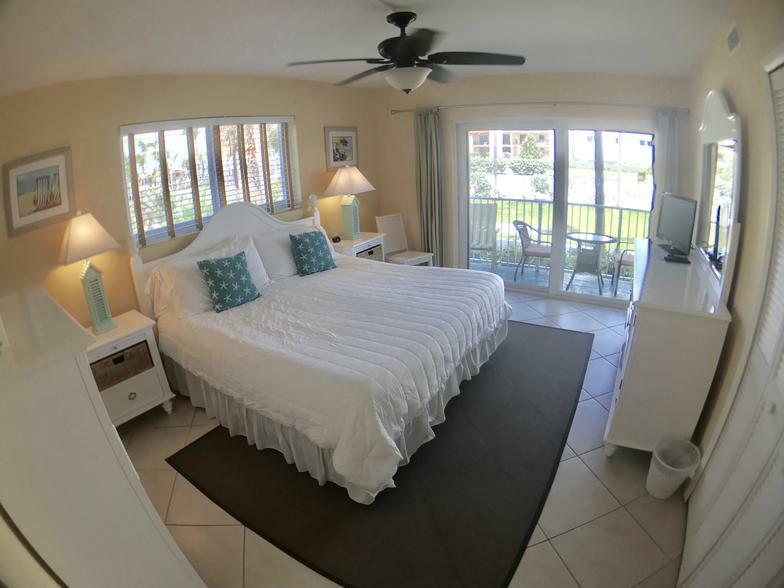 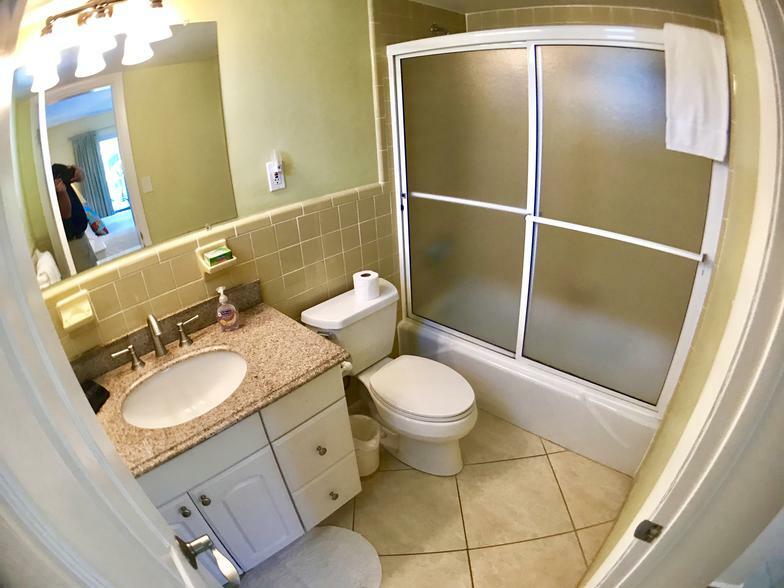 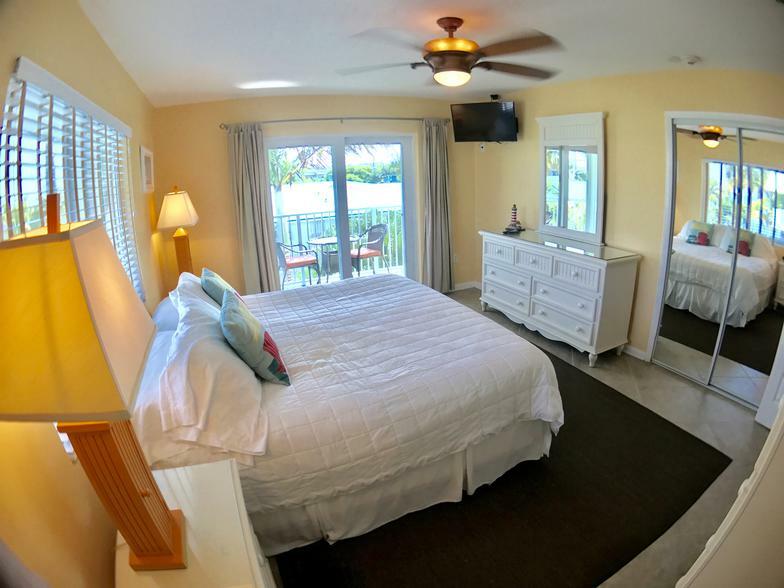 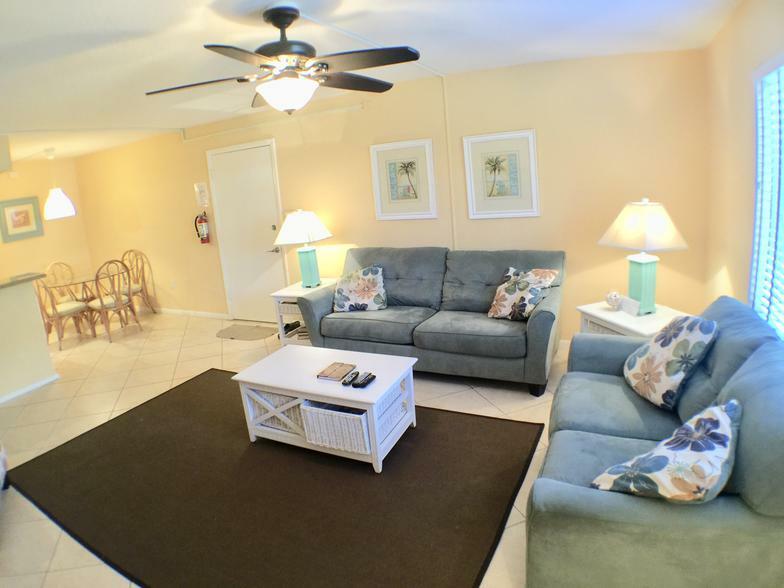 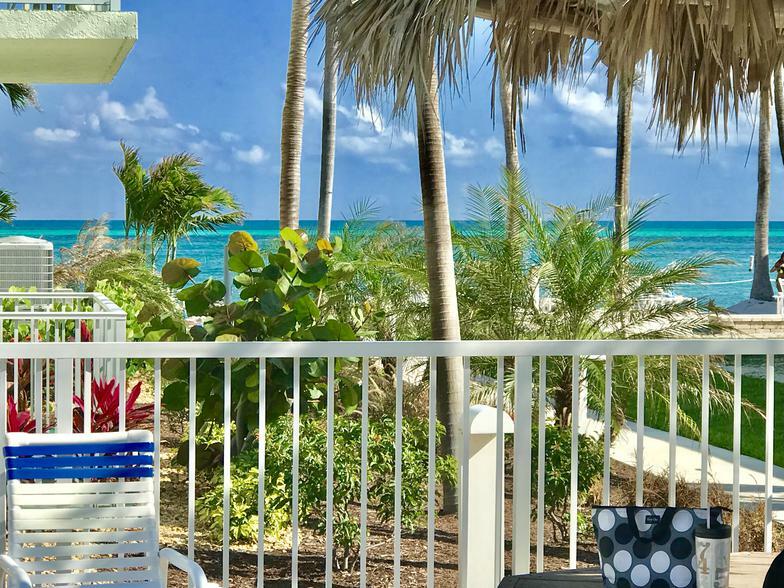 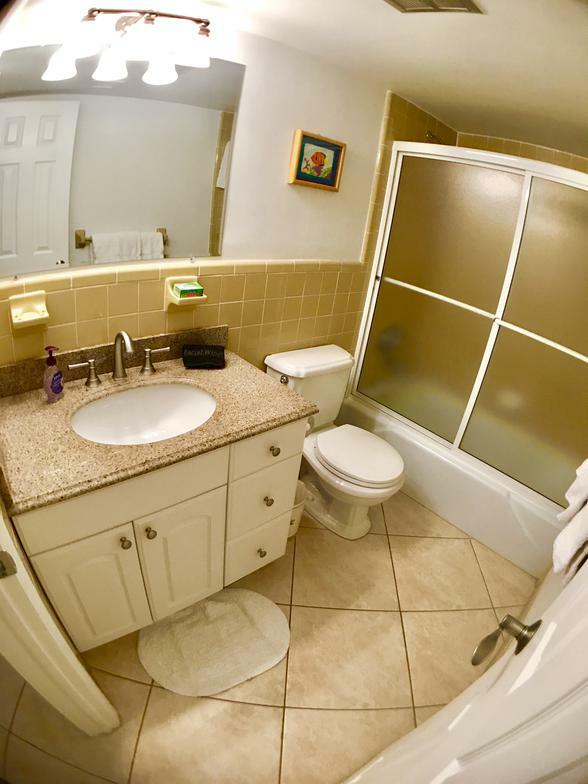 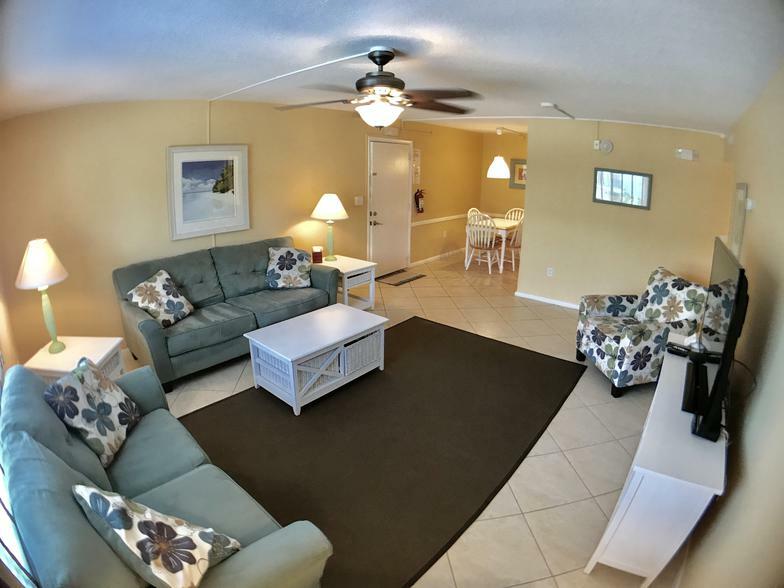 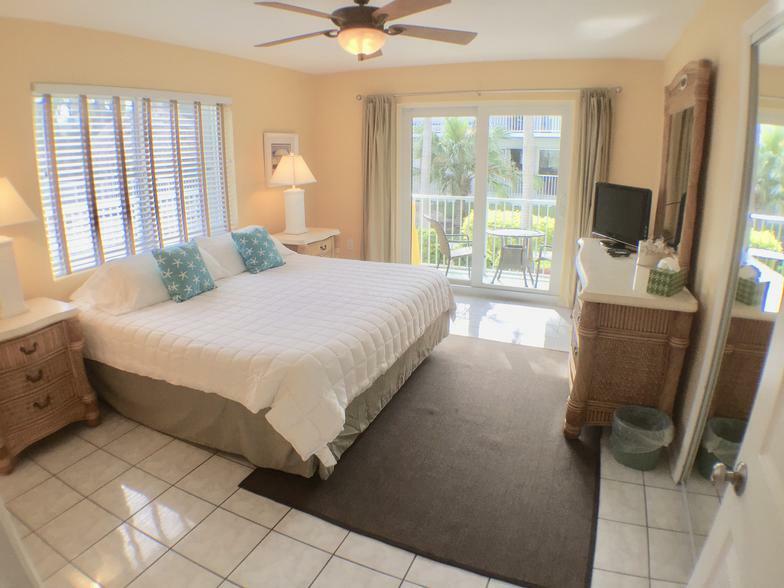 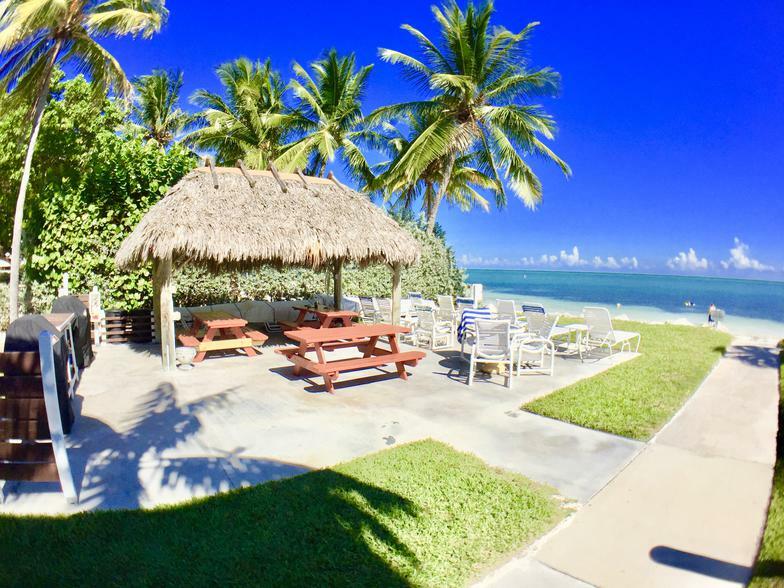 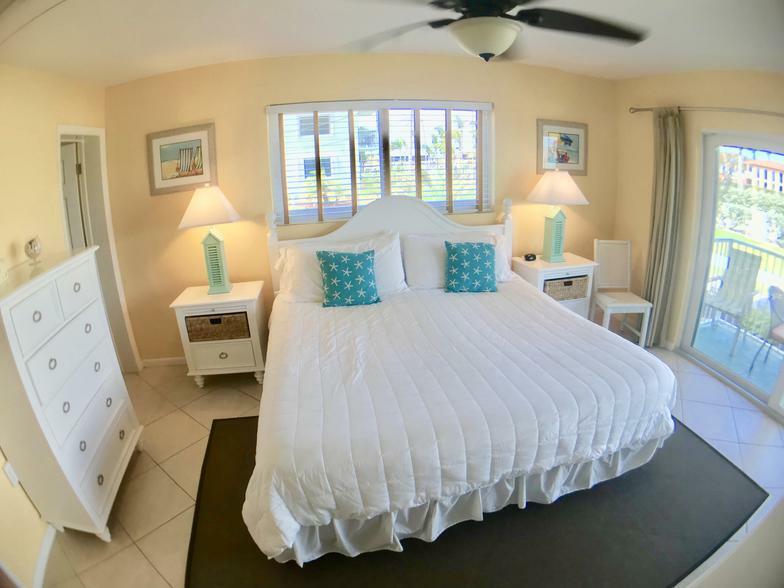 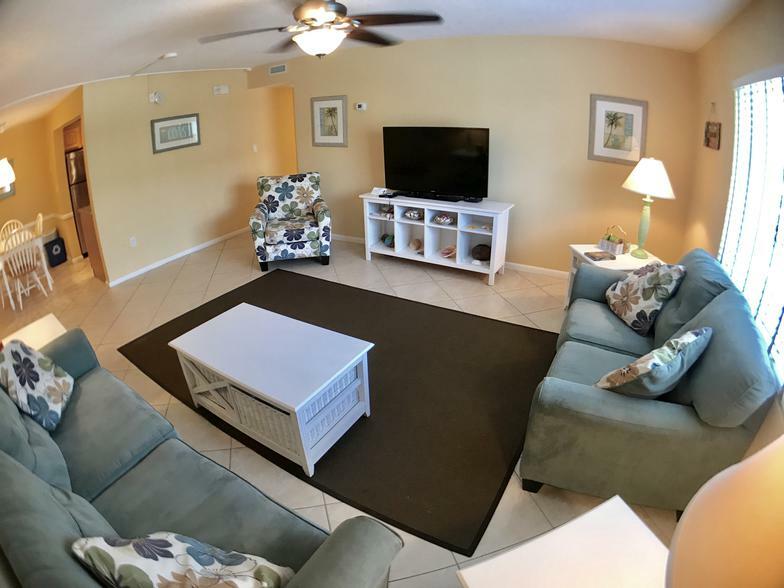 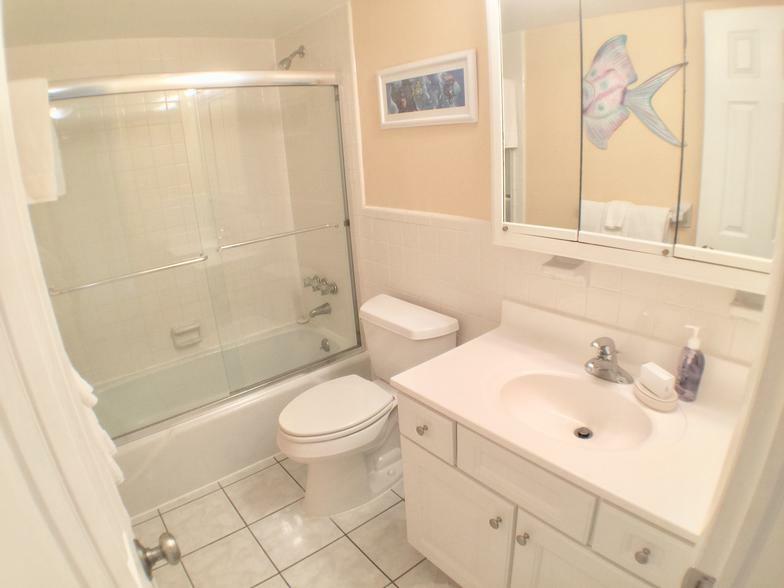 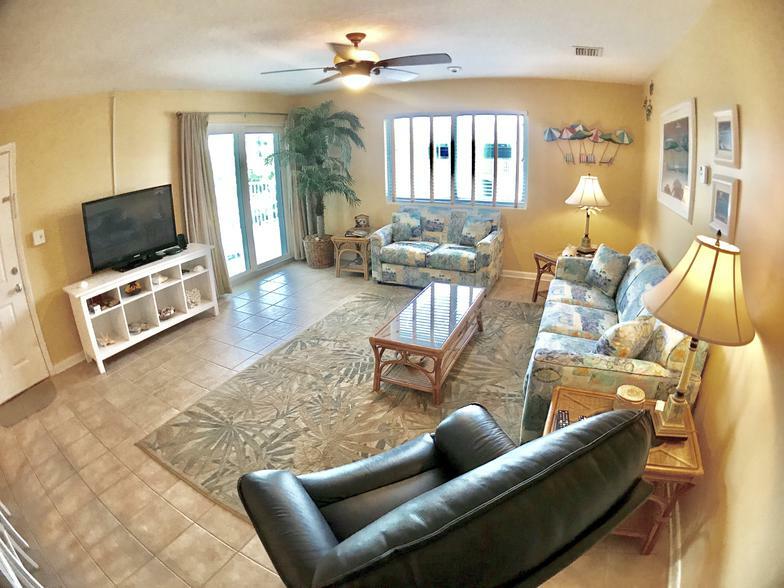 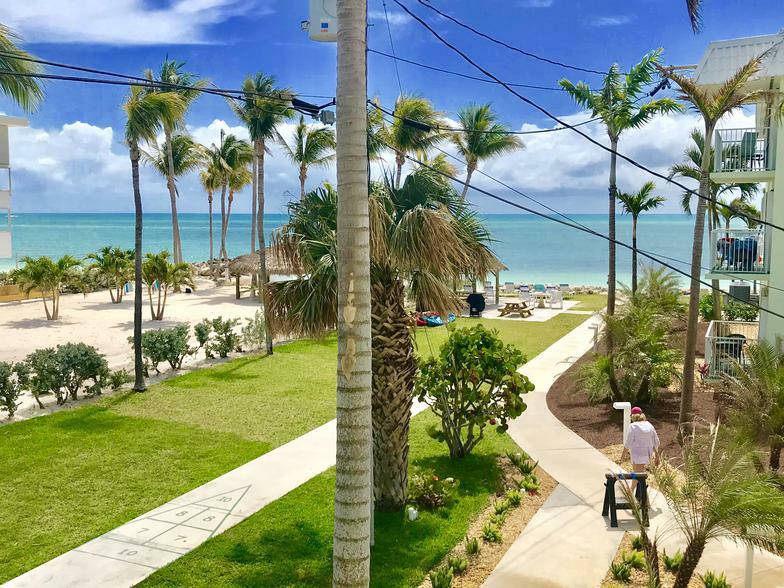 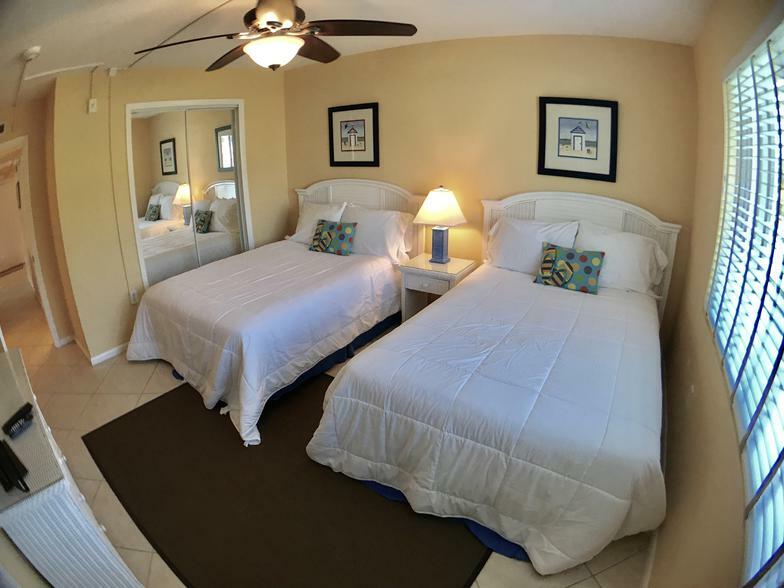 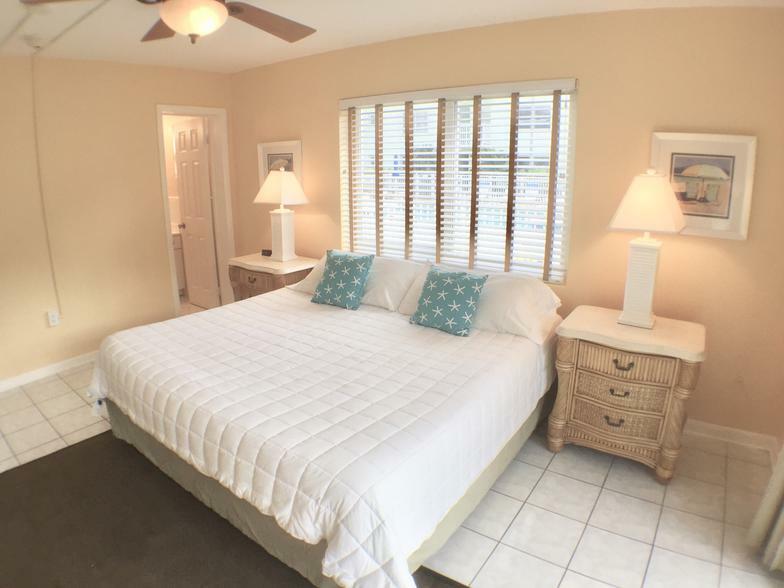 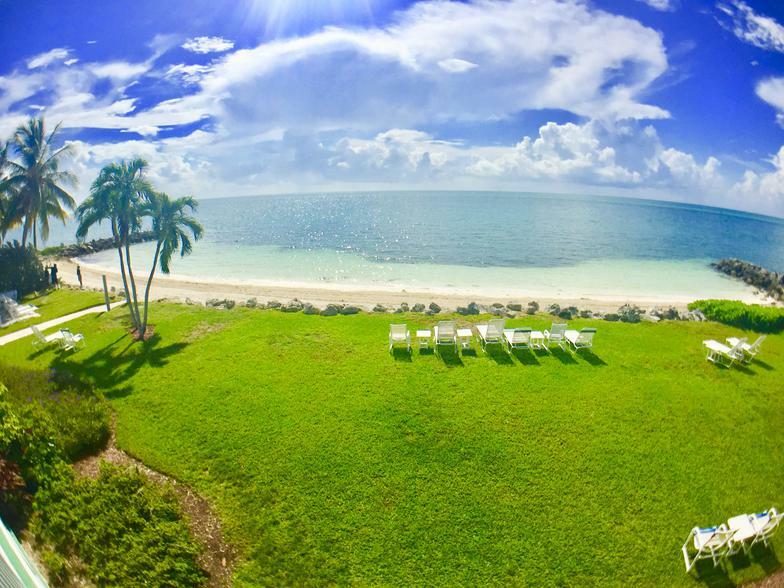 Condo #13 is a 1st floor unit 35 yards from our private beach and 20 steps to our pool.